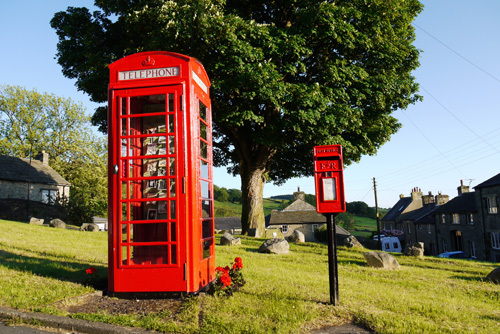 The Upper Settle phone box was purchased by Settle Town Council in early 2009 under the BT ‘Adopt a Kiosk’ scheme. As part of the scheme, the phone was removed and the Council were free to use the kiosk as they chose. It was agreed that Cultivating Settle would manage the facility and set up a community art gallery. Grant funding was obtained from Craven District Council and Settle Town Council. The iconic phone box is of the K6 type and was designed by Sir Giles Gilbert Scott in 1935 to commemorate George the Fifth’s Silver Jubilee and has been refurbished inside and out. We believe the Gallery on the Green is the smallest public art gallery in the world. Certainly it is the only one to be open 24/7 and filled to capacity at least twice a day!! Since opening in 2009 we have mounted a constantly changing exhibition programme, with contributions from local, national, and international artists whose interest and generous engagement in sustaining the life of the gallery lies at the core of our ambitions. We are immensely grateful for all the support we have received since opening. The quirky nature of the gallery as “possibly the smallest in the world” and the iconic status of red telephone boxes has attracted a good deal of attention from national and local press.